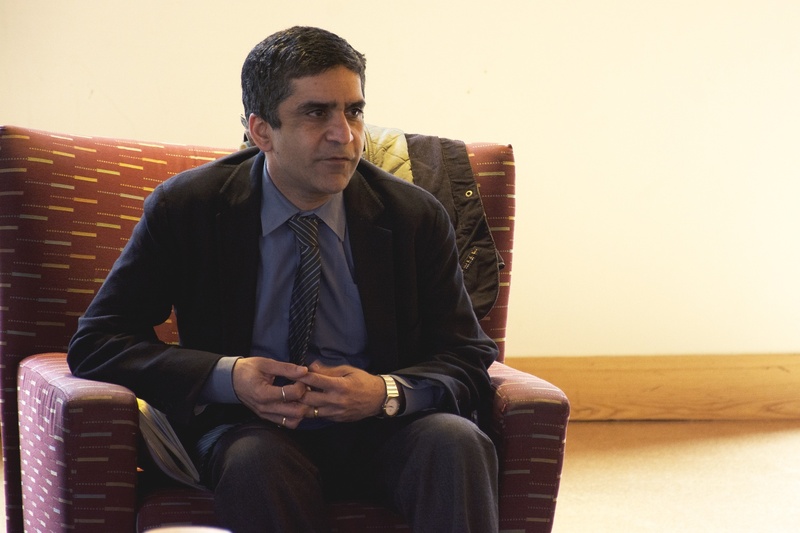 Dean of the College Rakesh Khurana and Dean of Admissions and Financial Aid William R. Fitzsimmons ’67 denounced offensive messages last Friday that some admitted students had posted in an unofficial group chat for the Class of 2020. Last Thursday, the College admitted 1,119 regular decision applicants and invited them to join the official Class of 2020 Facebook page. At the time, the page included a link to the unofficial messaging group that would instigate a dispute, according to Fitzsimmons and Khurana. Recent posts from the group chat, titled “Cambridge Community College (Triple C Gang)” and hosted in the GroupMe messaging app, prompted controversy among incoming students. Some graphics parodied trading cards and included racially charged jokes, according to screenshots of the messages. Another user in the GroupMe included a screenshot of a tweet mocking feminists. The messages prompted criticism from some students and an official response from Khurana and Fitzsimmons. “Harvard College and the Office of Admissions and Financial Aid were troubled and disappointed to see a conversation that included graphics with offensive themes. This exchange occurred independently of Harvard College through a link posted by students to a closed messaging group, and we have removed this link from our Facebook group,” they wrote in a post on the Class of 2020’s Facebook page. “We encourage our admitted students to gather online and get to know one another and have offered a Facebook group for this purpose,” Khurana and Fitzsimmons wrote in their statement posted to the Facebook group. 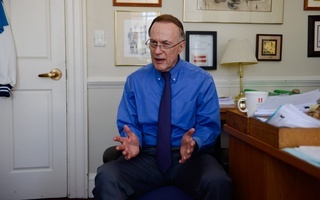 Although many admitted students said they were not aware of the controversial posts before Khurana and Fitzsimmons’s statement, the high school students said they were surprised that prospective Harvard undergraduates would circulate such messages. “I thought it was weird because people people liked the [Facebook] post but nobody commented on it, so I don’t think anybody really wanted to get involved with that,” said Cherri L. Wang, an admitted student from Pleasanton, Calif., referring to a link to the group chat. “What I read on the Facebook page suggests these posts were pretty offensive, I kind of expected Harvard to be more accepting and less offensive,” Wang, who was not on the group message, said. Wang, New York City admit Michael J. Won, and Ellen Y. Li and Beverly Ge—both admitted students from Gainesville, Fla.—said they saw the message from Khurana and Dingman, but were not involved in the GroupMe in question. Still, the students expressed concern about the controversial messages. “I was pretty surprised that would have happened, especially at Harvard,” Wang said.